The bustling market town of Leek is situated on the south-western edge of the Peak District, and is known locally as The Queen of the Moorlands. It has plenty to offer the visitor, and is set in the most stunning landscape of the Staffordshire Peak District, on the banks of the River Churnet. Leek has been a market town for hundreds of years, having been granted a royal charter in the 13th Century to hold a cattle market every Wednesday. At that time the economy of the town was based largely on agriculture, although it became a centre for the textile industry following the industrial revolution. There are still numerous markets held weekly in the town, including food markets and craft fairs. Leek has some fine Victorian architecture, with many of the buildings designed by the same 19th Century architectural firm, Sugden & Son, a local family business. William Sugden designed many of the stations on the Churnet Valley Railway line, and his son, Larner, continued in his father’s tradition. 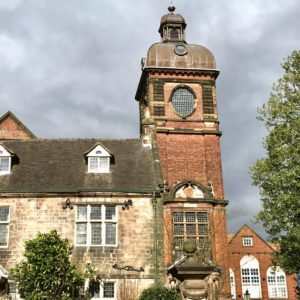 The firm’s designs include Leek’s Trinity Church, the Mill Street Methodist Chapel and Ragged School, the Cottage Hospital, the West Street School, the District Bank and the Leonard Street Police Station. Sugden & Son also designed Leek’s magnificent Nicholson Institute in 1882, which still dominates the skyline today. This beautiful building was created to provide the people of the town with easy access to the arts and literature, and it housed a museum, library, art gallery and school of art. There were also music recitals and lectures held regularly, and the Nicholson Institute attracted the great and good of the time, including William Morris, D H Lawrence, Oscar Wilde and John Betjeman. It still holds an impressive collection of paintings, ceramics and embroideries, and has a busy programme of exhibitions and events. Leek has long been a pioneer of promoting local businesses, and the town recently introduced an initiative called Totally Locally Leek, set up to encourage residents and visitors to shop locally. 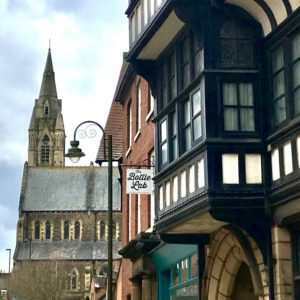 This has supported the wealth of independent shops, cafés and pubs in the town, as well as a wonderful Makers’ Market on the first Sunday of every month, featuring award-winning food producers and artisan craftspeople. Leek was the home of James Brindley, the 18th Century millwright and canal engineer, and Brindley’s Mill and Museum is well worth a visit. The working corn mill, dating from 1752, has been restored to showcase the work of James Brindley and the history of milling. 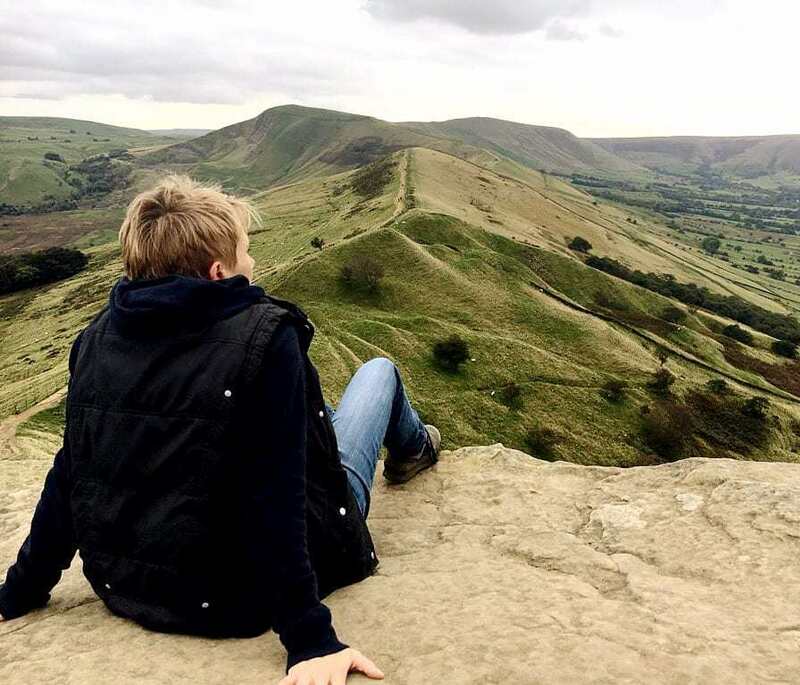 Leek is situated on a hill in the beautiful Staffordshire Moorlands countryside, and is perfectly located for exploring the great outdoors. The town lies just south of an impressive gritstone edifice made up of The Roaches, Ramshaw Rocks and Hen Cloud. The rocks rise to 1,657 feet and are very popular with hikers, runners and climbers. Outdoor enthusiasts will also love the town’s proximity to Rudyard Lake and Tittesworth Reservoir, both picturesque lakes that support a range of outdoor pursuits, including sailing, canoeing and fishing, as well as hiking, running and cycling. 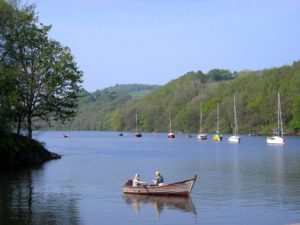 Rudyard Lake covers 168 acres and is over 2 miles long, surrounded by beautiful wooded countryside. Tittesworth Reservoir is no less impressive, and also has fabulous lakeside trails. Thrill-seekers of all ages will be happy at Alton Towers Resort, only a few miles out of Leek. It is an enormous theme park, water park and hotel complex, with plenty to keep the whole family occupied for days. 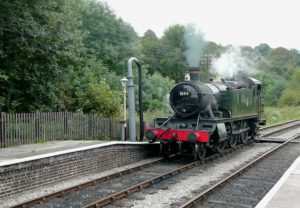 For more gentle thrills, the Churnet Valley Railway at Cheddleton is also well worth exploring, a heritage railway line that runs for 10 miles from Kingsley & Froghall station to Ipstones. Or head for Coombes Valley RSPB Reserve, a woodland wildlife reserve since 1963. It has many beautiful nature trails and birdwatching viewpoints.